Due to the manufacturing process of CIRCA flooring rolls, we cannot guarantee that the circles will line up if there are joins in your installation. If this may be an issue, please consider Circa flooring tiles as an alternative option. 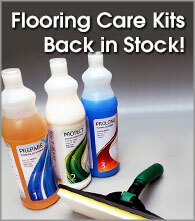 To keep the tiles looking like new, Polymax offer the Flooring Care Kit. This 3 bottle formula not only cleans the flooring, it also protects and prolongs the life of your flooring. Each bottle in the kit has a different function - Bottle 1, prepares the flooring by removing the dirt, dust, or any other substance which is affecting the look of the floor. Bottle 2, adds the glossy shine back to the material, bringing it back to life and giving it the new look. Bottle 3, seals the material to prolong the flooring shine. 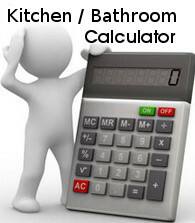 Click here for an instructional video on how to use the Floor Care Kit.